Happy Friday everyone! The powers that be at Download Festival HQ have seen fit to grace us with another five bands for this years’ festival and as usual there’s a real assortment of styles amongst the new arrivals. Kicking things off are UK doom metal experts Witchsorrow, who have picked up a fearsome reputation on the live circuit over the last couple of years. The fact they’ll be performing in the “tiny tented” 4th stage means that that could be one of the highlights of the undercard for the entire weekend! Joining Witchsorrow are alt-rock veterans InMe. With vocalist Dave McPherson equally at home doing his solo thing or fronting InMe, their return to Download for the first time in a decade will be most welcome by a great many fans. Also onboard for the festivities are Welsh rockers The Dirty Youth, featuring the notable vocal pipes of their singer Danni Monroe. All female garage rockers The Franklys will be a new name to many attending the hallowed Donington gathering this year, but they look set to be able to punch above their weight with a sound reminiscent of days gone by but with a fresh twist. Last but not least this time around, Finnish rockers Santa Cruz will turn things up to 11, and then some! 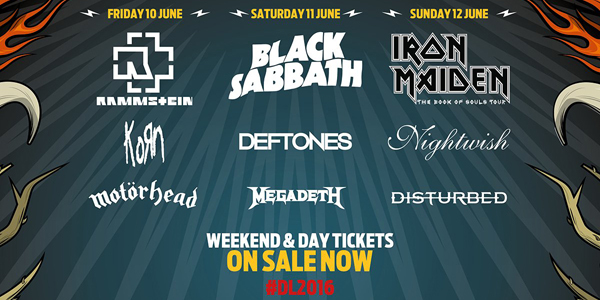 All of the above join headliners Rammstein, Black Sabbath and Iron Maiden, plus the stars of the WWE’s NXT, KoRn, Disturbed, Megadeth, Nightwish, Deftones, All Time Low, Janes Addiction, NOFX, Killswitch Engage and dozens more bands at the 2016 edition of the Download Festival. 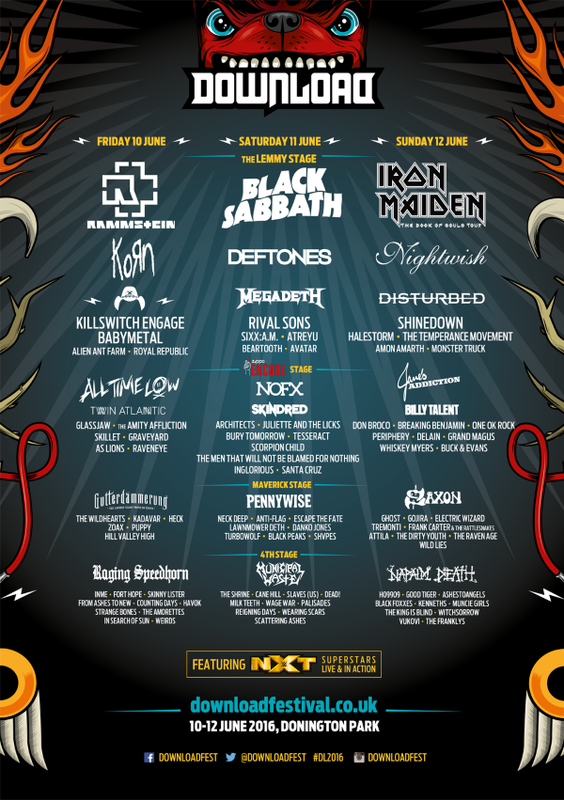 All your ticketing needs and further information can be found at www.downloadfestival.co.uk. 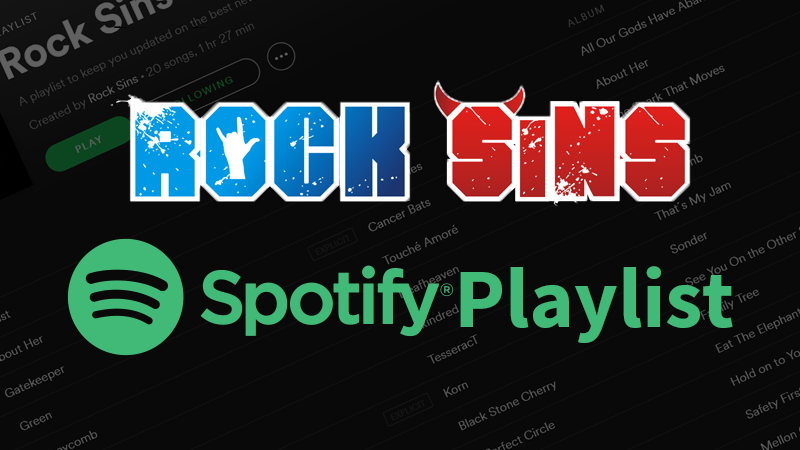 Stay tuned for our full Download preview coming next week!